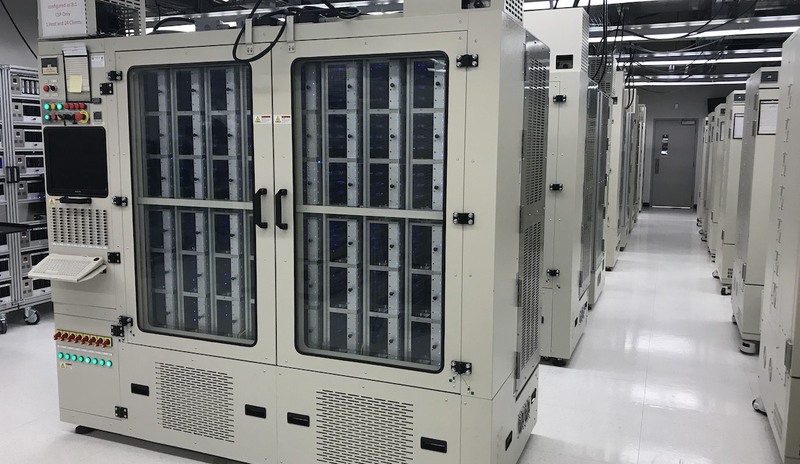 The next revolution in storage technology is officially here. 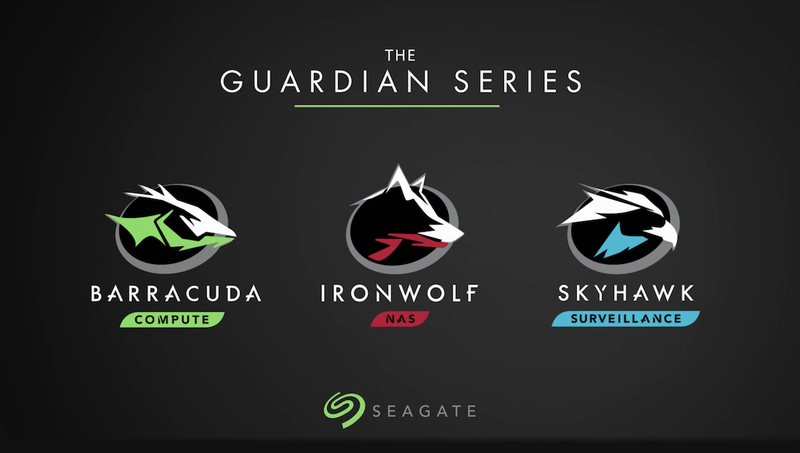 Introducing the 14TB Guardians — BarraCuda, IronWolf and SkyHawk. The only hard drive family in which each individual Guardian model is optimized for your application — now with unsurpassed capacity. 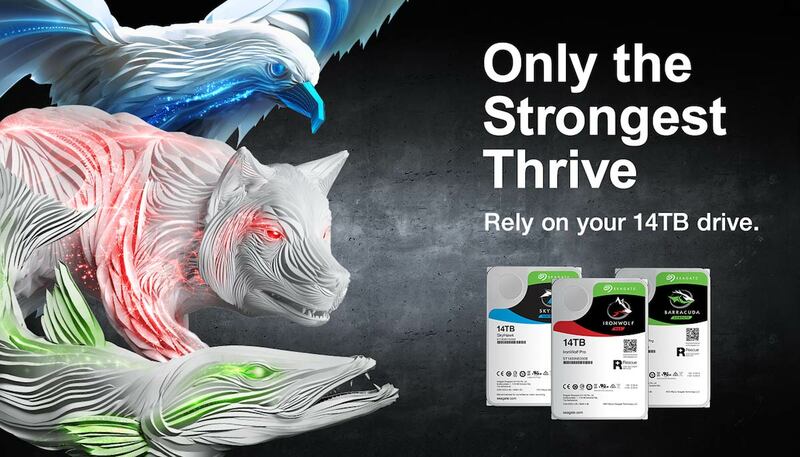 Seagate today has the industry’s widest range of advanced 14TB hard drives for every specialized client application. With the newest IronWolf and IronWolf Pro for network attached storage (NAS) applications, the BarraCuda Pro desktop drive, surveillance-optimized SkyHawk — as well as the Exos X14 previously announced for hyperscale data centers — Seagate’s purpose-built portfolio empowers customers to consume, manage and utilize digital data more effectively and efficiently while establishing new benchmarks in speed and capacity. When Seagate first introduced the Guardian Series, we signaled a new chapter in how hard drives are designed: each Guardian Series drive is truly purpose-built for the future, engineered and optimized for customers’ specific needs in each different application, to preserve, access and maximize the value of their data. At the time those first Guardian Series models offered the highest capacities ever available for PC workstations, Network-Attached Storage (NAS) systems and video security systems, as well as breakthroughs in performance and unique features that make each model perfectly suited to its application. Now, we’re taking capacities to even higher heights. Again offering the highest capacity, reliability and performance in the industry in desktop PC workstation hard drives, network-attached storage and specialized video security and surveillance, Seagate’s 14TB Guardians further extend the capabilities of the most powerful drives on the market to meet the growing data needs of businesses and organizations, creative professionals, gamers and PC upgraders. 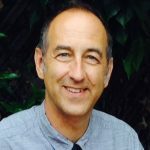 People are creating, analyzing, editing, sharing and saving more data worldwide every year, and data keeps growing at a rapid pace with emerging applications like AR and VR becoming more mainstream, 8K resolution video coming into the mainstream, and humans around the world using data all day long on diverse mobile and IoT devices, and expecting to access information from anywhere, at any time. Consumers, businesses and creative pros will increasingly require higher storage capacity in their core systems. No matter where data lives, the inescapable fact is that the sum total of the digital universe is doubling roughly every two years and that worldwide data creation will grow to an enormous 163 zettabytes (ZB) by 2025, and keep growing beyond that. No matter whether you’re a scientist or a student, a filmmaker or game developer or gamer, an entrepreneur, inventor or a business analyst, the odds are overwhelming that your data accumulation is compounding exponentially, not linearly, because that is how digital technologies grow. The storage capacity you have today will fill up sooner than you think. For 40 years, Seagate has pushed the boundaries of hard drive areal density, the amount of data that can squeeze into a square inch of magnetic platter space. In 1980, Seagate’s ST-506 became the world’s first 5.25-inch desktop hard drive, and it featured a total formatted capacity of 5 MB. With today’s Guardians, we fit 14,000,000MB on a much smaller 3.5-inch hard drive. Seagate’s engineers have managed this enormous capacity expansion thanks to a relentless assault on the boundaries of storage science; it’s a passion that will continue to drive us into the future. Why are top creative professionals, eSports gamers, business leaders, security system builders, and tech enthusiasts choosing the most versatile and dependable high-capacity hard drives available? Learn more here about how the new 14TB BarraCuda Pro will enable advanced PC users, creative professionals, and gamers to boost their desktop workstations or direct attached storage systems. 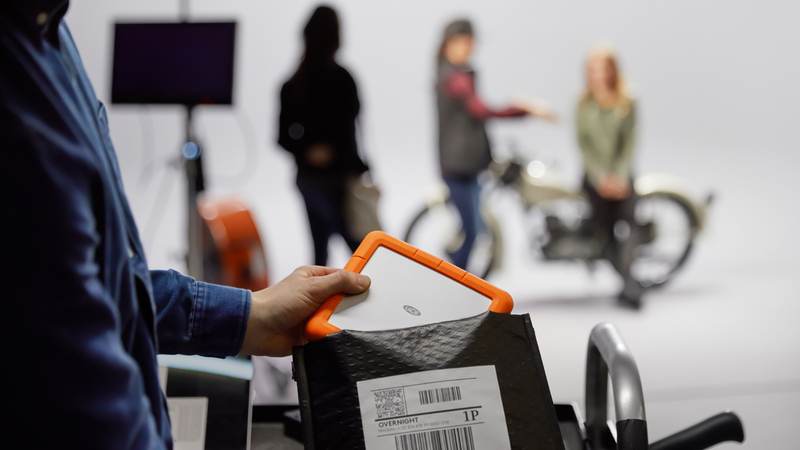 Learn here why businesses and creative production teams want the new 14TB IronWolf and IronWolf Pro products — the leader in NAS with best-in-class reliability and performance for always-on environments. Read more here to learn why security, surveillance and intelligent video systems managers want the new 14TB SkyHawk to help them deal with multiple high-resolution video streams and AI video recording.